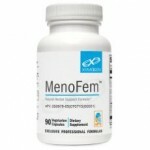 Menofem is a natural supplement that is designed to provide relief to the symptoms of menopause. This includes the much feared hot flashes. It essentially works by balancing hormone levels to alleviate and prevent hot flashes, mood swings, sleeplessness and other symptoms of menopause. Let’s take this menopause supplement under close inspection to determine if it is worth considering or not. Menofem uses Chinese, Native American and Ayurvedic herbs to help normalize hormone levels. The symptoms of menopause are mostly caused by the decreasing estrogen and progesterone levels in the body. The product is formulated to replace the missing hormones to decrease severity and occurrence of menopausal symptoms. Menofem Ingredients – Are they Safe & Effective? The key ingredients of Menofem are black cohosh, dong quai, licorice, chasteberry, red clover, wild yam, dandelion root, motherwort and ashwagandha. Dong quai and black cohosh are well-known herbal remedies for hot flashes. 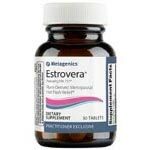 The other ingredients have been found to help normalize hormone levels in the menopausal woman’s body. However, there is no information on how each ingredient works on the product’s official website. What are the Advantages of Menofem? Contains clinically proven ingredients that can help provide relief to symptoms of menopause. Doesn’t contain strong chemicals that can cause serious side effects. Doesn’t contain gluten, wheat, soy, artificial colors, sweeteners and preservatives. Very affordable and lower-priced compared to other menopause supplements. Can be easily ordered online. There are several good reviews of the product online. Some users claim that it is really effective. What are the Disadvantages of Menofem? There is no clinical evidence that Menofem is really effective and safe. Some people who have tried it claim that it is ineffective. Comes from a relatively new supplement company. There is not much information on the product available on their website especially when it comes to how each ingredient works. Still fairly new on the market and not time-tested. Upon closer inspection of Menofem, it appears to be a good product that is worth trying. The only problem is that there is no substantial evidence that it can really deliver on their claims. The only way to determine if it really is effective is by giving it a try. However, if you want to find products that are really proven to provide relief to symptoms of menopause, a little research will point you to the right direction.